Would ‘Ram Rajya’ forever remain a Utopian concept? 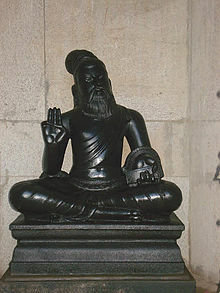 Shri Ram Chandra ji, were He to visit India one of these days, would be simply annoyed at finding His name being used for reasons of political expediency and for polarization of society, rather than for promoting high values, communal harmony, peace and an equitable treatment to all citizens of the country. In case He decides to visit Thailand instead, He might be received with due honours by King Vajiralongkorn, who carries the title King Rama X. While being escorted through the ruins of Ayutthaya, He would be told of its 2,00,000 people and 4,000 Buddhist temples which were looted and destroyed by an invading Burmese army more than 200 years back. Also, about the Chakkri dynasty which restored the city and built the resplendent Buddhist temple which happens to be a major tourist attraction today. If He were to visit one of the Western countries, He might be pleased to find a relatively better adherence to the standards of governance set by His ‘Ram Rajya’ in the days of yore. With lower crime rates, speedier justice delivery, better security, more efficient delivery of public services, higher respect for women and innovative welfare measures, the developed countries score much higher. Above all, the citizen’s respect for due process of law and a tendency to not only demand rights but also to acknowledge attendant responsibilities would likely meet His approval. Yet another feature He would appreciate would be the attempt by some of His true followers to hold aloft the high ideals He stood for and to continue to spread the same through publication of scholarly works, holding of meaningful seminars and conferences, and by spreading the message of His unique life amongst the youth of today. 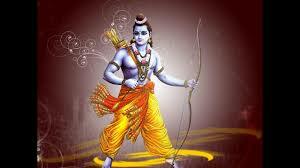 It goes without saying that the story of Lord Ram transcends the vagaries of time and space. The lessons one can learn from any version of Ramayana remain as relevant today as they were eons ago. Respect for elders is one such lesson. Assisting the needy and the underprivileged is another. Showing due reverence to the environment and to members of different species is yet another. Vanquishing the evil amongst us, according top priority to one’s duty in life, sticking to one’s commitments, respecting women, keeping an open mind towards acquiring new knowledge, being proficient in statecraft, addressing concerns of common folks – these are some others which readily spring to one’s mind. The impeccable manner in which He conducted himself sets the bar for today’s governments and rulers very high. Not for Him the kind of barriers – political, economic, social, attitudinal or otherwise – that we see rising most of the times. Not for Him the kind of back-stabbing, lip service and rampant corruption we notice in high places these days. 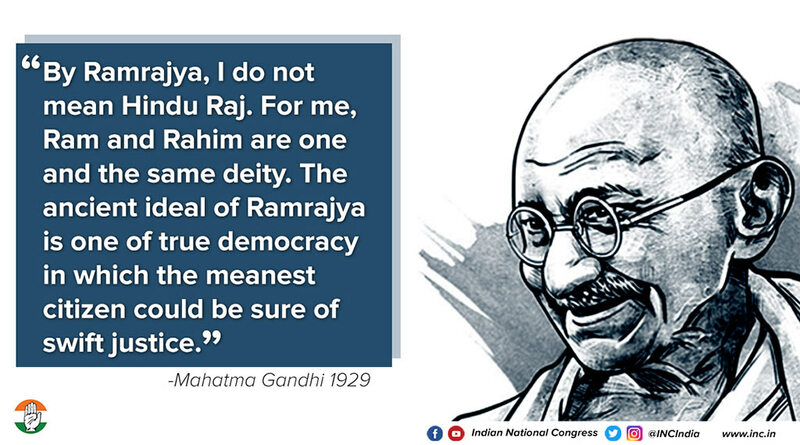 Neither would He have approved of the absence of an inclusive and equitable society, leading to a meteoric rise of hit-and-run terrorism and communal clashes. Nor would He be happy looking at the kind of treatment meted out to the women folk. Would ‘Ram Rajya’ remain a Utopia? The questions that are topmost on the minds of some of us are simply these: Will ‘Ram Rajya’ forever remain a Utopian concept? Will a day ever dawn when the average person on the street would be able to savour the fruits of good governance? The advent of Industrial Revolution 4.0, backed by rapid advances in technology, provides a faint glimmer of hope, though not without riders. We have witnessed not only an Arab Spring but also the power of social media to sway public opinion. If governments start adopting Blockchain technologies, Truth would stand a better chance to prevail. As technologies become super-efficient, these could eventually bring about a humbling equality among all human beings, propelling us into an era where the principles of Liberty, Equality and Fraternity get really followed. But since a technology is as good as the intention behind its use, much depends on the intentions of our leaders who wield the resources to use it. One might sound a little pessimist, but the answer to the question remains in the negative, at least in the foreseeable future. But we have hope. Hindu scriptures speak of the endless cycles of four different kinds. 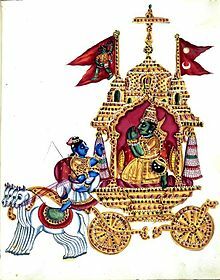 The end of Kala Yuga is likely to herald the advent of a Sata Yuga, followed by another Treta Yuga, which would then see the emergence of yet another ‘Ram Rajya’. However, for Homo sapiens, this cannot be a cause for celebration and complacency. 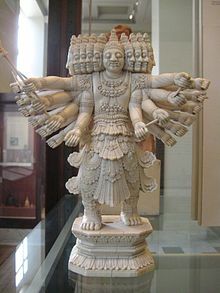 As long as Lord Ram is around, Ravana would not be far behind. The fight between the good and the evil would continue unabated. This fight exists not only in the external world but also in our internal thought processes. 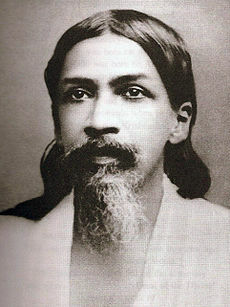 By purifying our thoughts and acting on the same, we can initiate a change which could eventually transform the society. 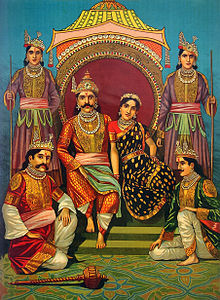 Ramayana sets an example of perfection which we all need to aspire for. It exhorts us to keep fighting the demons within and without us. It touches the innate divinity and goodness we carry within ourselves. Herein lies the secret of its enduring appeal. 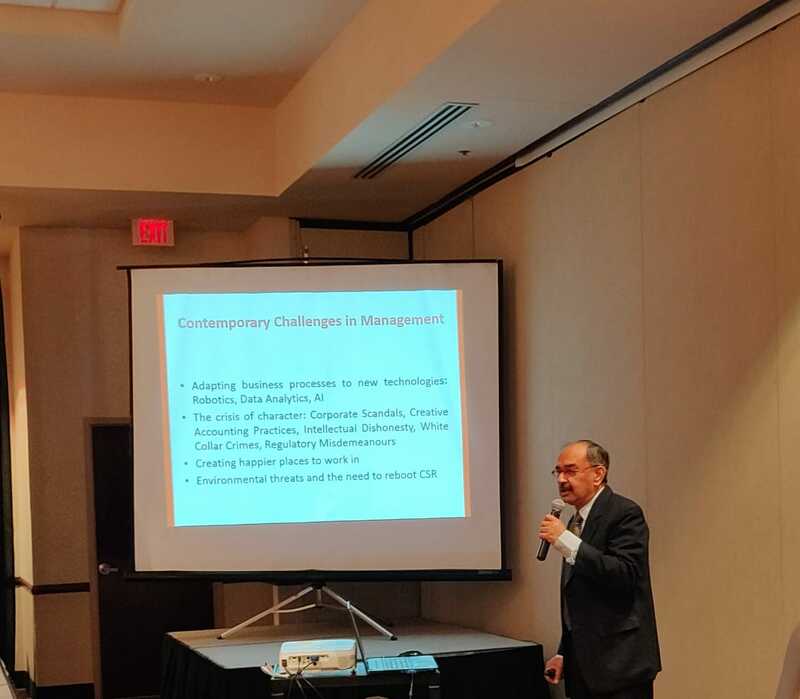 Management at the University of Houston-Downtown, USA. 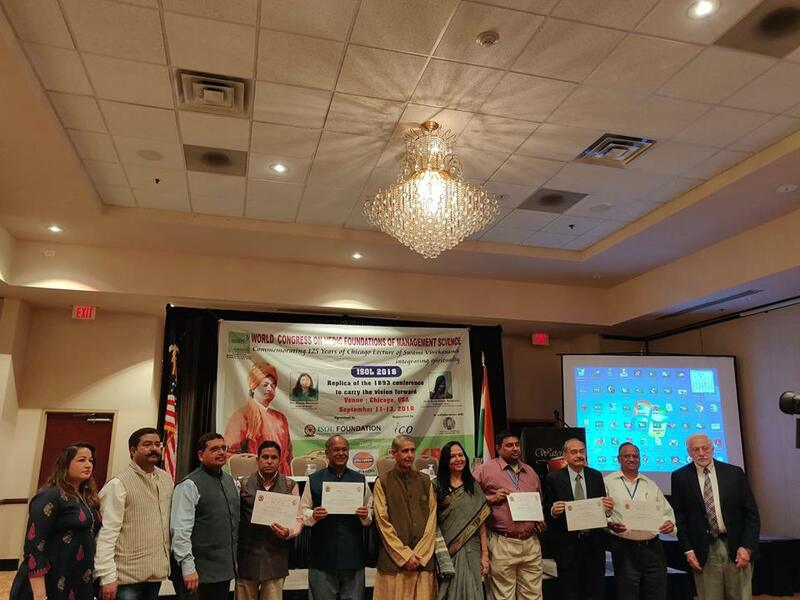 Here is a link to an International Conference on Ramayana which is taking place at Jaipur in India shortly: http://www.ramcharit.org/irc2. 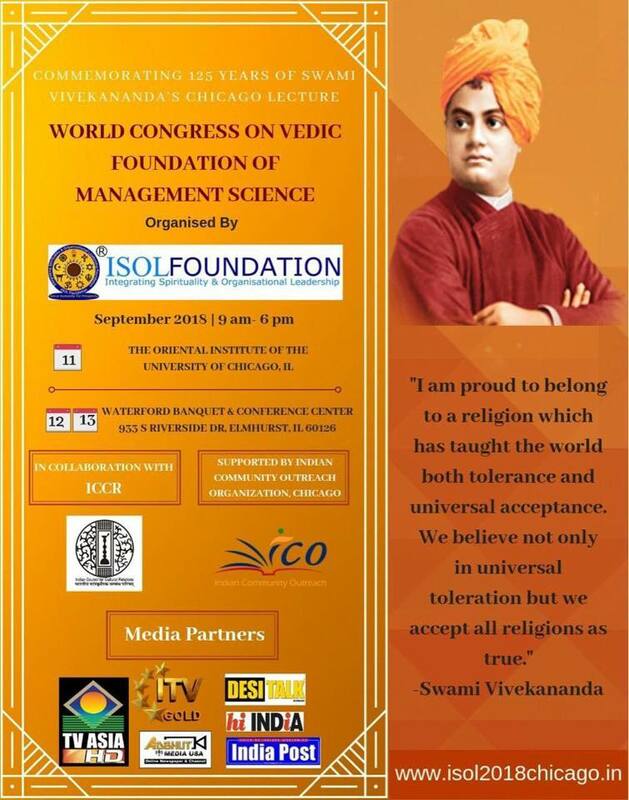 India offers to the world an immensely rich collection of sacred scriptures. 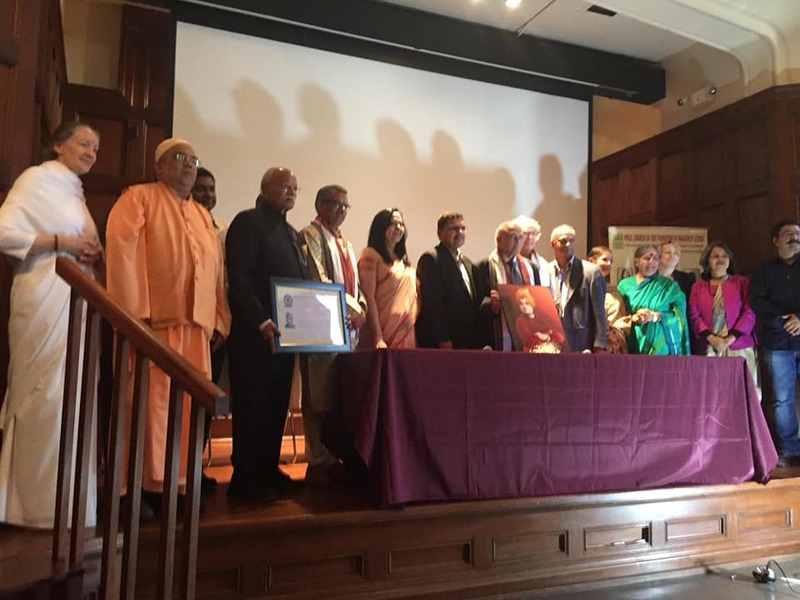 First and foremost are the Vedas, which could be justifiably referred to as the core of the spiritual and psychological soft power of India. Then there are the Upanishads, which capture the highest spiritual knowledge and experience that India can offer to the world. 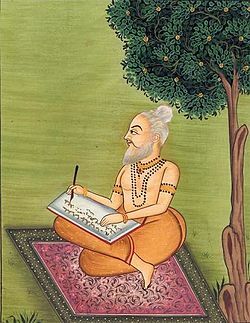 India also has Puranas, Itihasas, Tantras, Dharma Shastras, and Sutras, besides the innumerable works of religious poetry in regional languages. 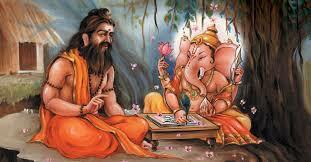 Amongst Indian scriptures, Ramayana and Mahabharata happen to be the most popular narratives. Both are pregnant with mature thought. Both contain teachings of political, religious, ethical and social kind. Both showcase, in a relatively simple language than that of the Vedas and the Upanishads, the Indian idea of Dharma, or righteousness. Both appeal to the soul as well as to the imagination of an intelligent mind. Even illiterates find gems of wisdom in these two epics. If philosophy, ethics, morals, social concepts, political thoughts or administrative justice form the warp in this unique fabric, heroic tales, human emotions, poetry, aesthetics, fiction, romance and villainy form the weft. These epics showcase a highly developed sense of ethics and values, social and cultural realities of a distant past, besides intellectual and philosophical refinement. Lay persons could draw several life lessons from both these works. So could professionals of all hues. 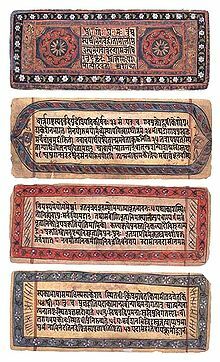 Sanskrit is the language which forms the bedrock of a vast majority of these works. An intimate feeling of the language helps in understanding the multi-layered narratives better. One acquires a heightened sensitivity towards the shades of style and the context in which a statement is being made. 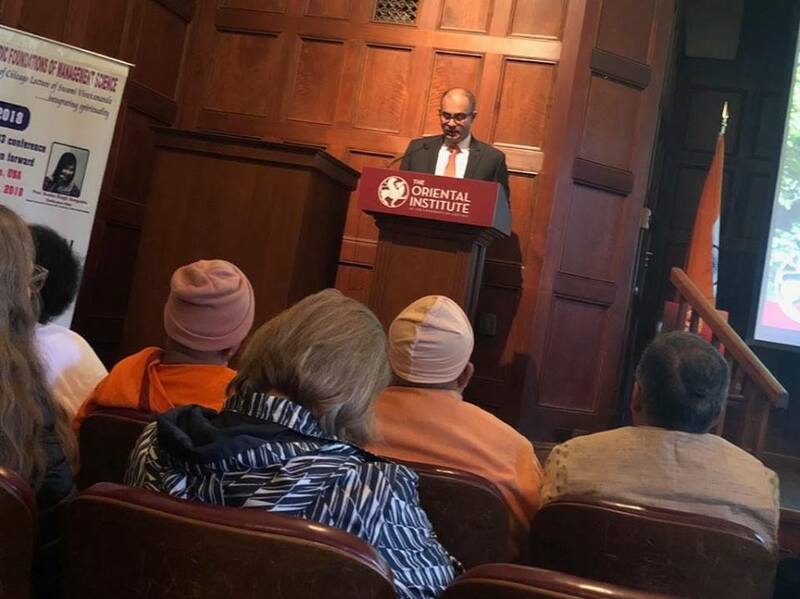 In today’s inter-connected world, one may not know Sanskrit but can still savour a fraction of the fragrant nectar of knowledge offered through any of the Indian scriptures. 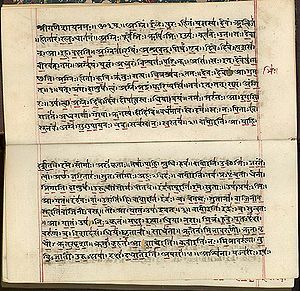 Sacred scriptures comprise a minor part of all the Sanskrit literature available from the Vedic to the pre-modern times. 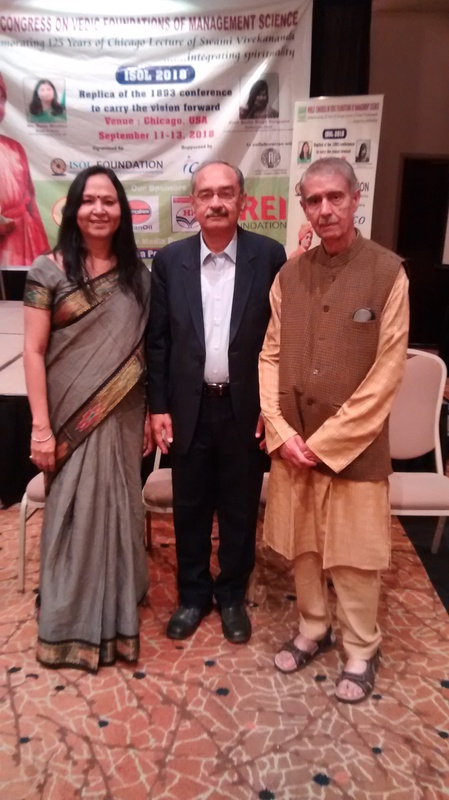 Nonetheless, they form the bedrock of Indian culture and spirituality. Upanishads articulate the philosophical principles concerning mankind, world and God. Gita explains the manner in which human beings can practice these subtle philosophical principles in their mundane lives. One of the basic concepts enunciated by Krishna in the Bhagavad Gita is that of the everlasting nature of the soul. The concept of a soul now finds a resonance even in modern management literature. In his book ‘The 8th Habit’, Stephen Covey urges professionals to pay heed to their ‘inner voice’. While proposing the whole person paradigm, he speaks of the four dimensions of a person – spirit, body, heart and mind. From a management point of view, perhaps the most relevant are the concepts espoused under the overall umbrella of Karma Yoga. Here, Lord Krishna emphasizes the importance of self-less action, free of its rewards and gains. A state of inaction is held to be another form of action itself. 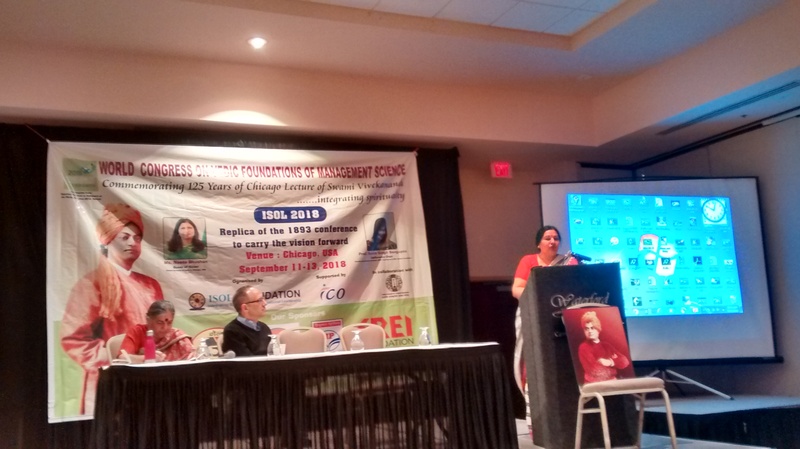 The concepts enshrined under Gnana Yoga are also highly relevant for management professionals. This is so because one of the major challenges in their careers is to keep unlearning, so the process of real learning can never cease. Smart professionals always keep an open mind. They strive to keep abreast of latest technological developments. They keep learning from their failures as well as from their successes. When it comes to Bhakti Yoga, the relevance of what Gita says is perhaps somewhat limited as far as a practicing professional is concerned. Loyalty and devotion – to a superior as well as to the company – are terms which readily spring to one’s mind. But in the absence of a truly charismatic business leader of the stature of Lord Krishna, blind devotion could perhaps lead to a catastrophe in one’s profession. A sense of misplaced loyalty often becomes an excuse for senior managers to remain in their comfort zones. Accepting fresh challenges becomes a key challenge. Their skill-sets start getting rusted. Much like stones which do not roll, they start gathering moss. 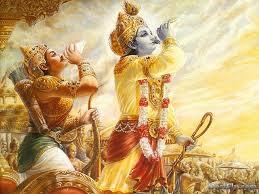 There is much that CEOs and managers can learn from the Bhagavad Gita. Its language is pregnant with symbolism at times. But it has rich lessons to offer for day-to-day conduct of business. This stream of knowledge is close to 3,500 years old. It is never too late to rediscover it.